Summers in Saratoga Springs has been a tradition in America for over 100 years. 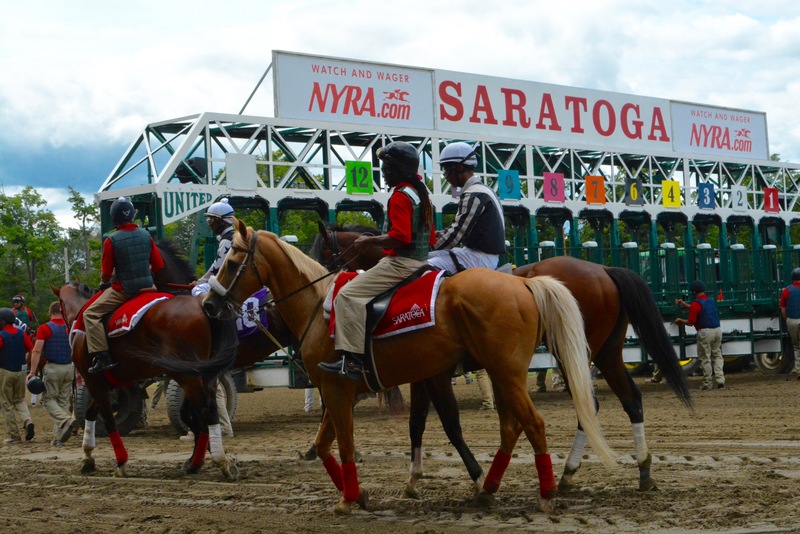 People come from near and far away to spend the day at Saratoga Race Track. Large trees surround the red and white clubhouse and paddock. Magnificent horses are everywhere. Bring cash and bet or just sit back, watch other people and relax. I have been coming to Saratoga Racetrack for the past 16 years with my boyfriend Doug. He’s been going twice as long as I have. Faithfully. I fell in love with the track my first time here. The beauty of the green paddock and the horses were what I looked forward to every year. I am a animal lover and don’t like to see them used for “entertainment purposes”. 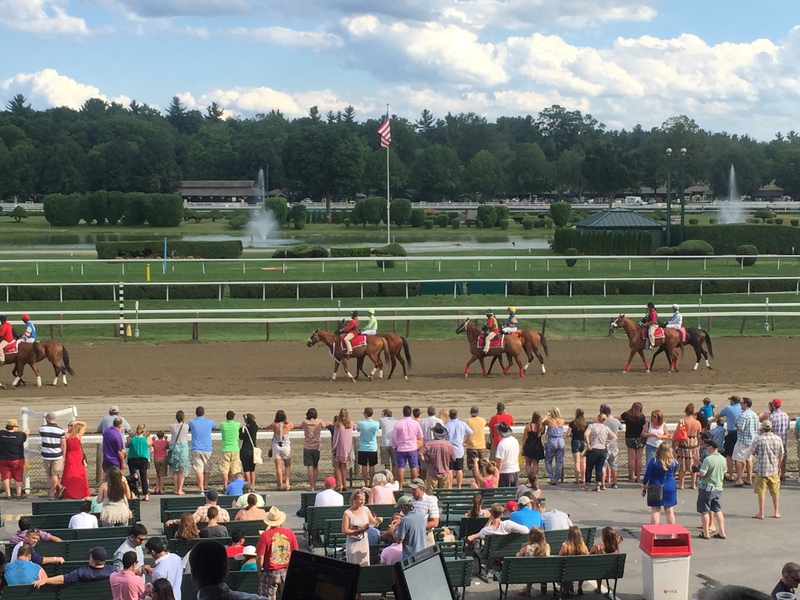 The reason I love Saratoga horse races is I have seen how well the horses are treated. They are treated with daily baths, fans in every stable, medical care and the best equipment money can buy for their saddles, bits, etc. Sometimes I would wake up early and ride my bike to the back stretch to see them getting bathed and working out. 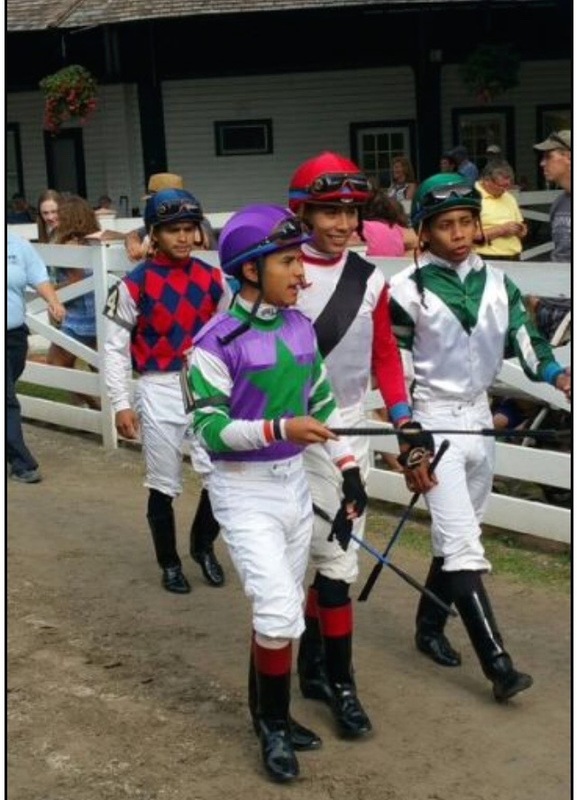 The jockeys are the glue that holds the races together. They are true celebrity athletes. I still don’t understand why they aren’t treated the same as we would a famous basketball player or football star. They work twice as hard. Most of the jockeys I saw daily were racing up to 8 times a day. That means getting on a gigantic thoroughbred horse built for speed and going up to 44 miles per hour holding on by the strength of their legs. They rarely sit on the horse so it’s all in the legs. 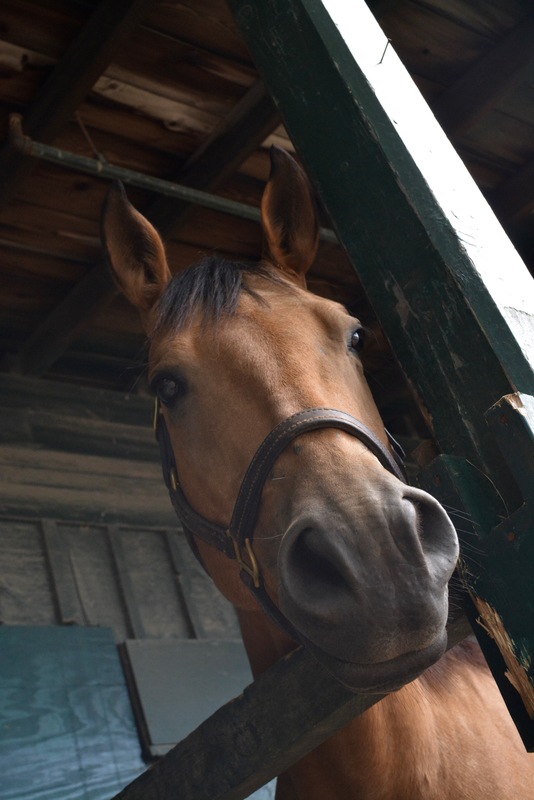 I like to hangout and get pictures and autographs as they are coming out of the jockey room to the track. Sometimes I worry about them because it’s a really dangerous job they have. Sometimes I bet on the jockey and not the horse. 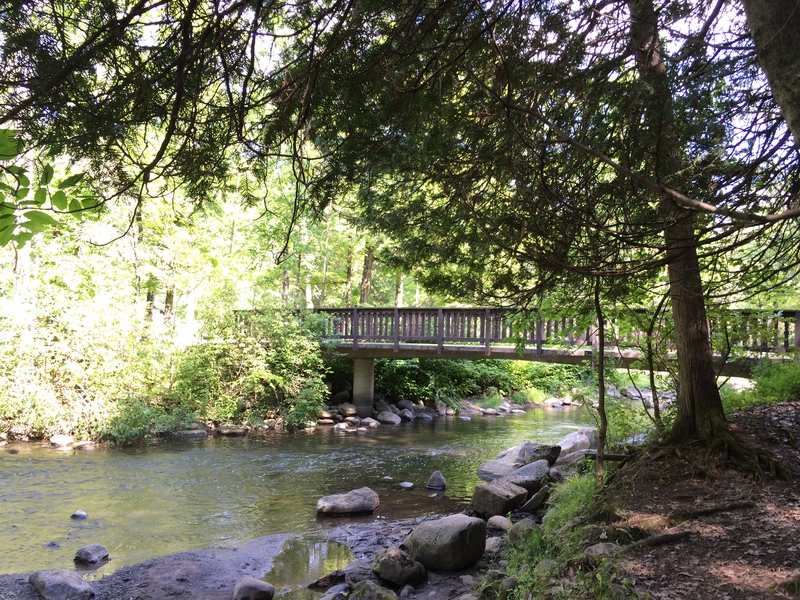 There is a beautiful park called Saratoga Spa State Park and they have concerts there in a section called Saratoga Performing Arts Center (known as SPAC). Over the years I’ve seen some big acts like Tom Petty and smaller bands like the Pink Floyd cover band from Australia. You can choose to buy a ticket to sit on the lawn or seats inside. I like the lawn seating but we always buy tickets for the inside. I’m always glad we did because it can get cool outside and I’m never dressed properly so it’s nice to get up and go sit down indoors for the last half. Outside of concert area, the park is large. Usually we ride bikes through it and relax under one of the many huge trees around. There are also natural springs around the park. They have spouts for people to fill their water bottles with natural spring water in one area. It sounds great but what happens is people bring their 5 gallon water bottles and hog up the spouts. There is a car line waiting sometimes for people to fill up. I saw a sign by the natural spring water telling folks to be courteous and not to hog them all. But it’s not enforced so no one I noticed was following it. There is also another kind of spring water people drink there. It’s mineral water and it taste like sulfur or rust. People swear by it. They will tell you anything to get you to try it. I was told it’s good for your health so I gave it a shot. Now I just watch people’s faces after it first goes down. Usually it’s the same face. . . yuck. The racetrack has the Big Red Spring. It’s a natural spring that has endless mineral water flowing. That’s where the best people watching is. The town is beautiful. Lots of colonial style homes, sidewalks, parks, and good food. Some of the houses are huge! I ride by and always think to myself “who lives there?” or “I wonder what the inside looks like”. Some of the houses are so big they are made into apartments! Either way I know you have to have big bucks to buy one. The house we rented wasn’t huge but it was nice. People rent their homes out for racing season. I have heard (and seen) some of the homeowners staying on the property while renting. One year we rented a house where the owner was living upstairs in a separate apartment he built in the attic. That was kind of creepy but whatever. I personally wouldn’t want someone living in my house for a couple of months but for the prices they charge I understand why they do it. The house we rented was just that, a rental house. The owners lived in Vermont and bought it as a second home. There is a college nearby named Skidmore. The next tenants after us were students. 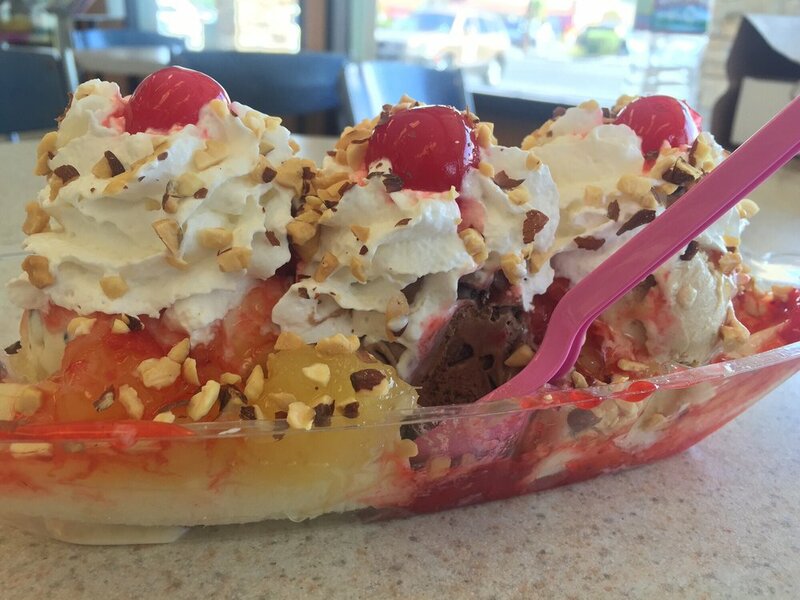 Outside of going to the track for the races, I ate banana splits and joined the YMCA. This was a good trip though, I went home with $700.00 from a winning ticket. That was awesome!